Heat a large ovenproof sauté pan, over medium-high heat. Melt the coconut oil, then add the vegetables and onion. Saute, stirring occasionally until soft. Add the garlic and continue stirring for another minute or two. While the vegetables are cooking, in a medium bowl whisk together the eggs, milk, herbs, and salt. Pour the egg mixture into the pan with the vegetables, then transfer the pan to the preheated oven. Bake for about 15 to 25 minutes (the size of the pan will determine how long it takes in the oven). 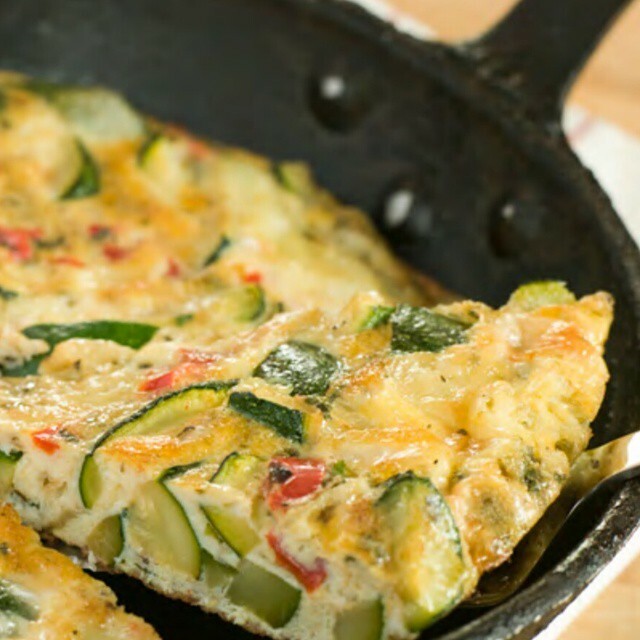 Once the center is firm or “set,” (knife in center comes out clean) remove the pan from the oven and serve the frittata either warm or at room temperature.